1. Iron peghooks, 24 pcs. 2. Sturdy construction to support a heavy load amount. 3. Hanged 24 pcs products at both sides. These peg hooks corrugated displays are applied to the products with blister packed, and support hanged 24 pcs, 12 pcs per side. The floor standing corrugated displays can take your products into organized and cleaning, are well-reflected your brands. 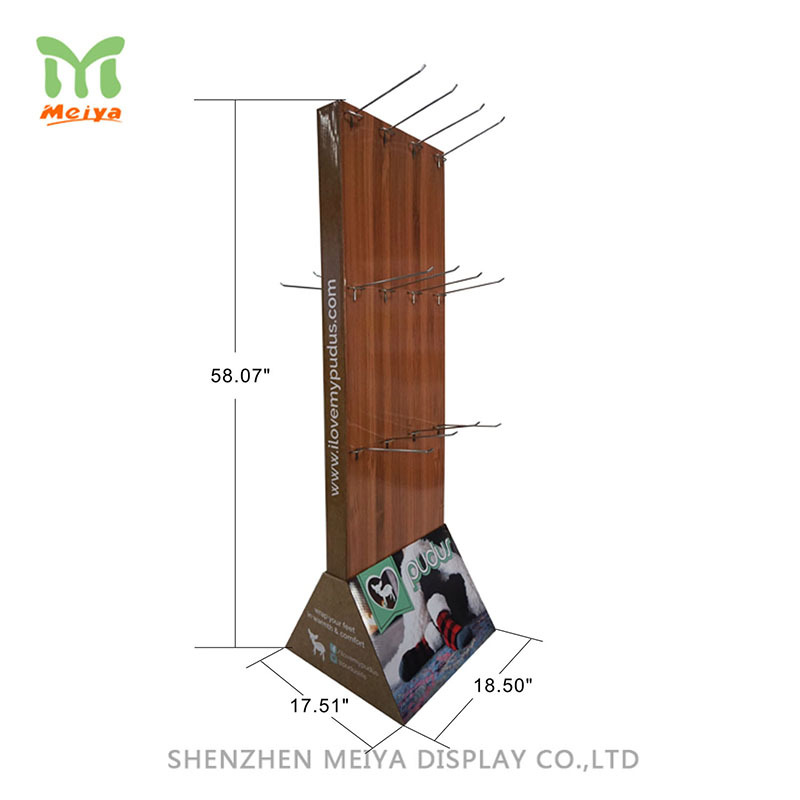 Meiya Display provide customized cardboard displays that used in magazine, books, toys, greeting cards, gifts and more.